Traveling is more relaxing with a luxury car rental. Parking in California may seem stressful, but with this parking guide, your experience will be made painless and easy. Los Angeles is one of the largest cities in the United States. California has a variety of parking rules and regulations. Here are some tips for parking with your Los Angeles luxury car rental. Parking kiosks and meters – These are located near available parking on the streets. Parking garages – This type of parking offers safe parking and offer flat-rates. Apps – Using a parking app will help identify locations and types of parking available. Reserved parking – Booking your reservation ahead of time will guarantee your spot. Valet – Services provided by establishments such as hotels and restaurants. Attendants park and retrieve guests vehicles. Citations are given for violating parking rules and regulations. Checking parking restrictions will help alleviate this situation. Colored curbs designate different types of street parking. Observe street signs for instructions for time and cost of parking. Utilizing a parking application on your smartphone will help save you time and money. Green curbs – 15 to 30-minute limit and zone is in effect from Monday through Saturday 8 a.m. to 6 p.m.
White curbs – for passenger loading only. Vehicles may be stopped for 5 minutes. Yellow curbs – Exclusively for commercial truck loading with restrictions effective Monday through Saturday 7 a.m. to 6 p.m.
Red curbs – No parking or stopping allowed. Los Angeles Department of Transportation (LDOT) oversees public parking regulations. They control over 49,000 parking spaces throughout the city. Parking garages are open to the public also. Many lots are free and safe to park. You can utilize Google Maps to find spots available. Parking applications that you can download to your smartphone can save you time and money. LA Express Park – You can set date, allotment, and location ahead of time to find the best price and availability. SpotHero – Place a reservation in advance guaranteeing a spot at a garage, valet, or lot. ParkMe – Shows closest locations available for reservation. This app also lists other amenities such as restaurants, airports, stadiums, and many other venues. regulated by the state park service. 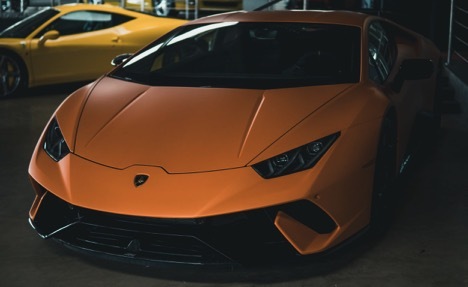 Tips on where you can park, restrictions, and the utilization of parking apps will help make your Los Angeles luxury car rental more convenient with this guide. An online magazine focusing on everything current - a platform for journalism experience. For anyone interested in writing for iliber, please visit our write for us page. iliber Magazine is an online news source for thousands of readers every month. Focusing on everything that is fresh and new, iliber is a gateway for students and readers to interact and gain much needed experience in the journalism world. Come write for us today and join our team. Do you really need an SSL?